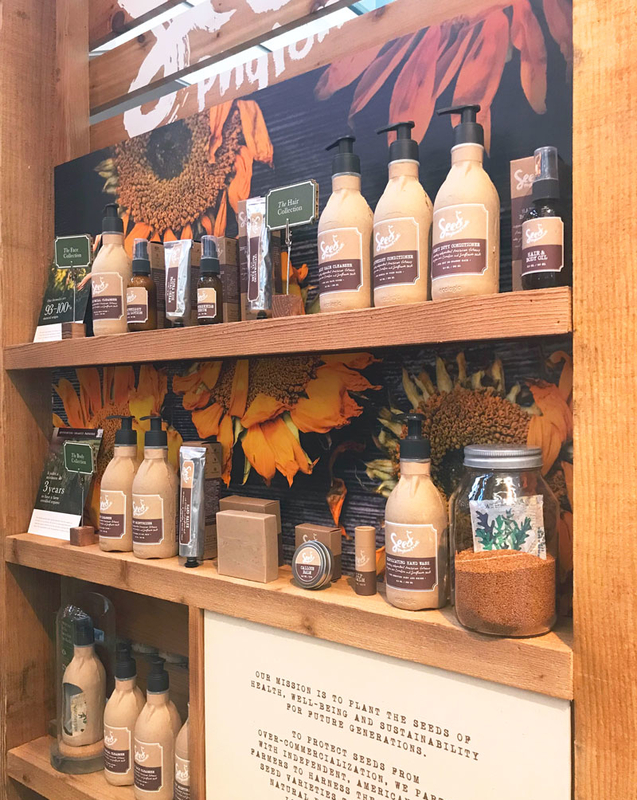 Our creative team had been working with Seed Phytonutrients for over a year on developing the brand assets for a new line of natural hair, face and body care products. 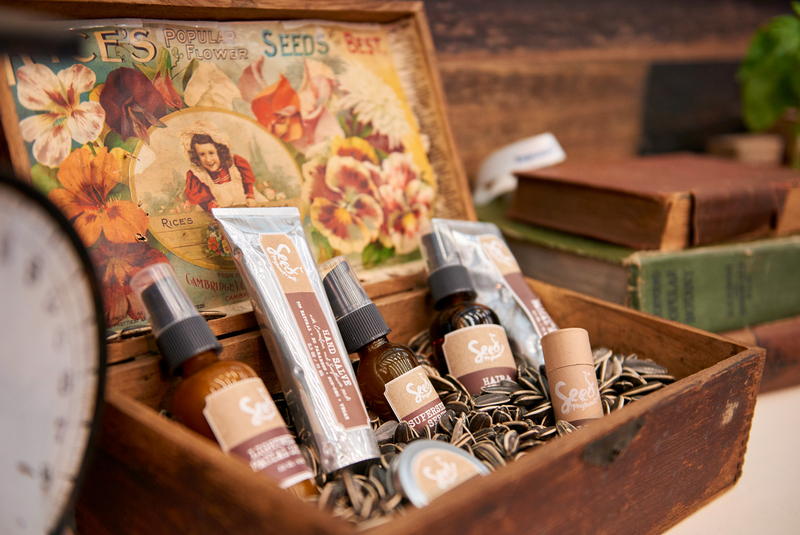 Prior to launching, Seed was offered the opportunity to debut the new line at the Natural Products Expo in Anaheim. They reached out to us to see what our team could do for the upcoming show. We had only four weeks to design and build a custom 20’ x 40’ booth from scratch. 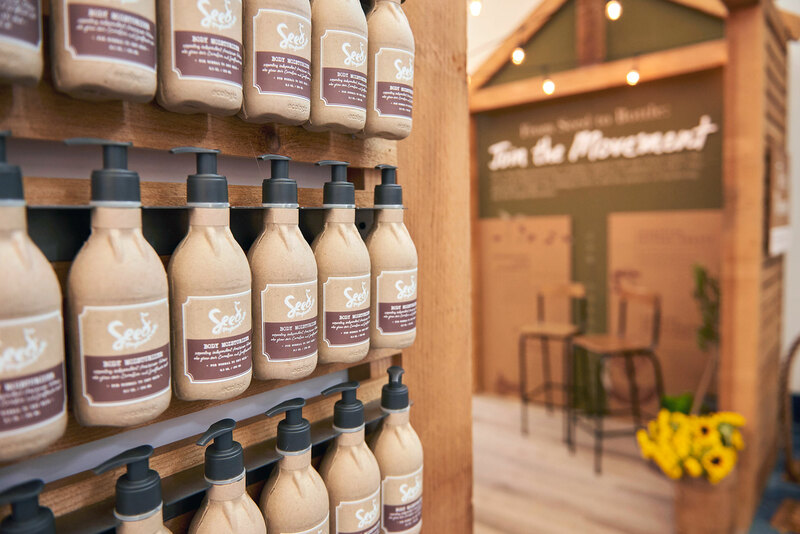 We needed to develop a space plan that would help move people through the booth as well as provide opportunities for brand eduction, product display, and sampling. At the center of the booth was a greeting counter and back counter with an overhead trellis and over-counter lighting. 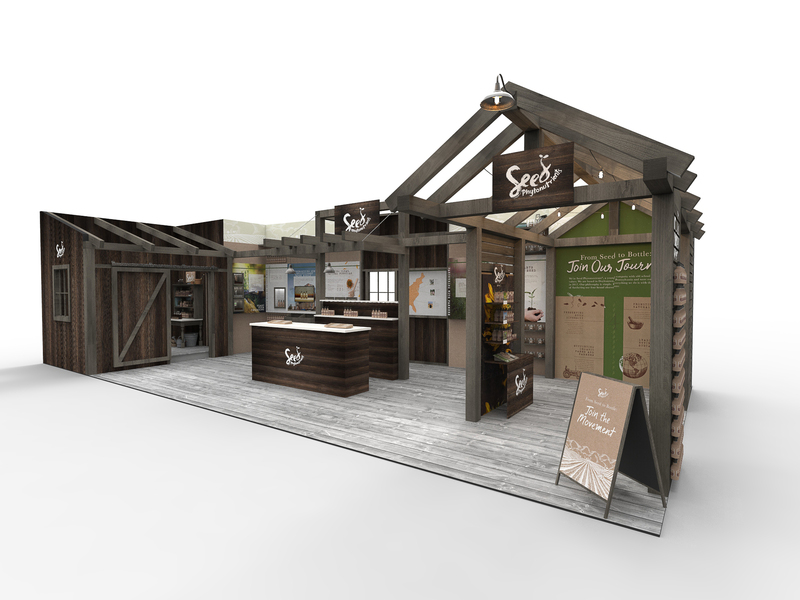 We created a 12’ high barn structure as a starting point for the “guided” brand tour. 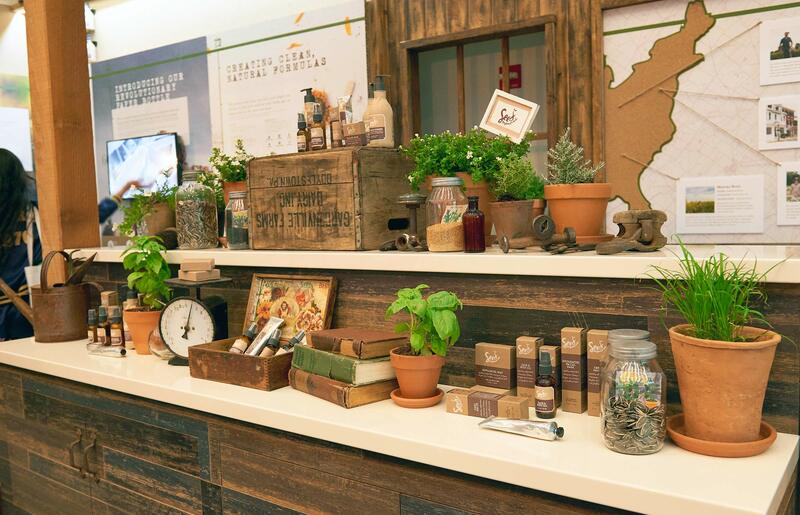 Product vignettes were placed along the back wall along with large format graphics printed on dimensional cardboard. 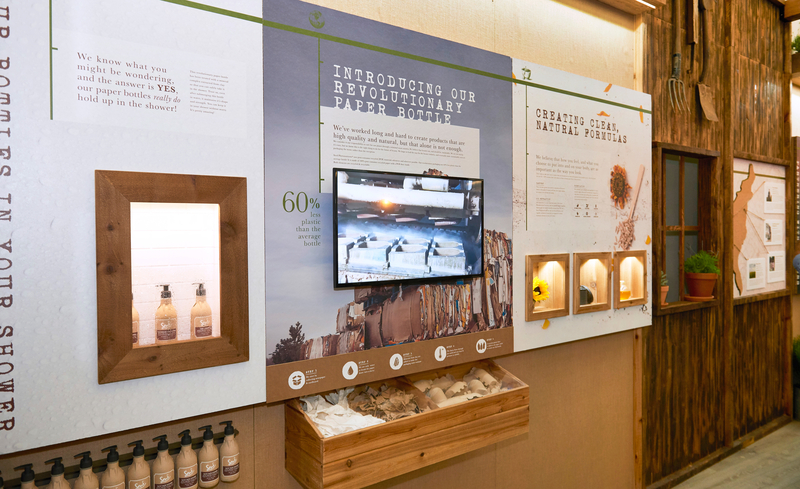 These graphics highlighted the 4 pillars of the brand – preserving seed diversity, supporting organic farmers, clean natural beauty, and sustainability. 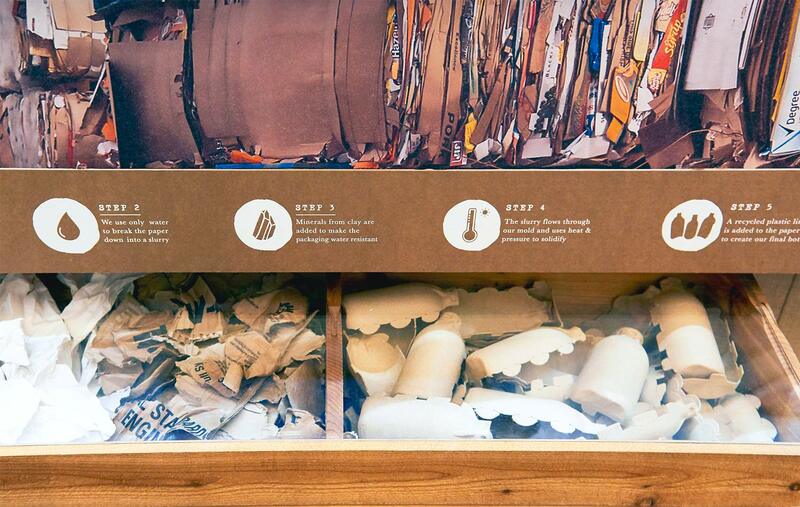 We also created wall sections that showcased a shower-friendly paper bottle. 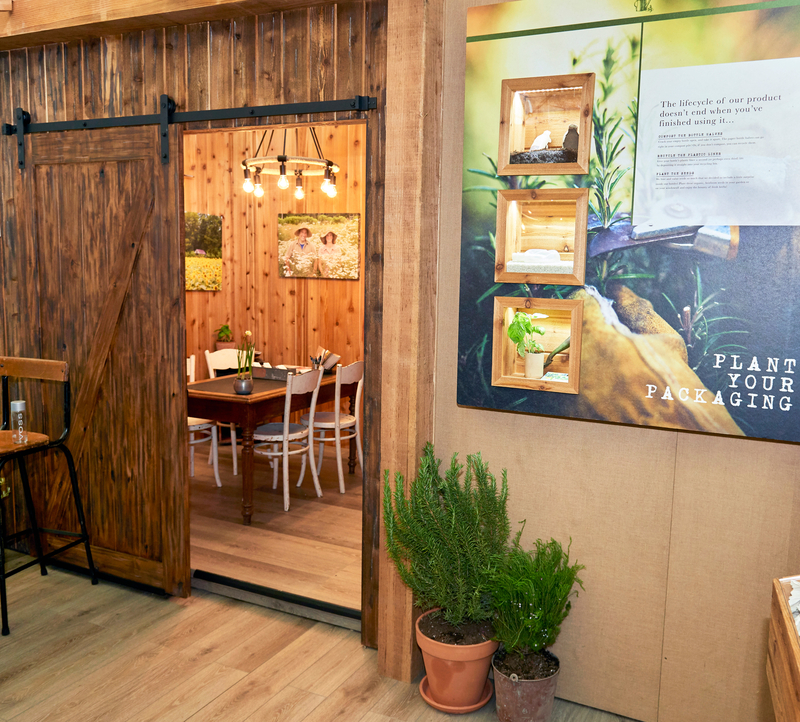 A farm-inspired meeting room was included with a sliding barn door and small room for storage. The entire space was tied together with an overhead timber structure with lighting and signage.